Thanks. I wish you a good weekend! Great focus! Lovely close up. Enjoy your weekend. Great shot of this pretty flower. 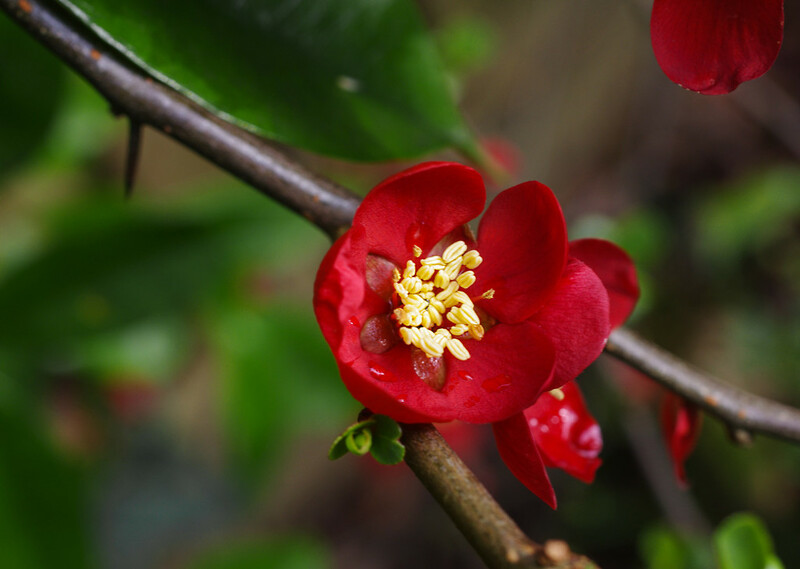 I think it is a Chaenomeles japonica. Our pink one is blooming now. Have a great weekend too. Fav. What a super little flower. Those stamens look almost like seeds. Hope you're enjoying a good weekend! Ajax did it. 4 to 1 by Real Madrid. Great game to watch. @pyrrhula Brilliant Ajax! I saw extended highlights, after Manchester United beat PSG, amazing game!